It was 5th December 2013; a breaking news; an African (a black man) who the world acknowledged that lived a better life than them passed on. That man was Nelson Mandela. He died at the age of 95. World leaders from Americas to Europe to Asia/Arab etc. ; fighting for spaces in their countries’ media to pour praises and shed ties for the man they said; taught them the meaning of forgiveness. The same set of world leaders who stood by and watched and sometimes encouraged the imprisonment of Madiba; finally agreed that Mandela was a good man. But if Mandela had died in prison during his 27 years of incarceration, would any of them have called him a good man? A good man would have died and the world wouldn't have realised. It shows that the apartheid regime murdered a lot of good men who were only asking for democracy that Americans are constantly propagating. Unfortunately these Americans lost their voices in the case of South Africa. In fact, America considered Mandela a terrorist as they only removed his name from their terror list just in 2003. However, was Mandela a good man or just an intelligent man? I think he was intelligent rather than good although ideally you cannot separate the two. When he was released from prison, he didn’t look like someone who was coming to make peace, with his stern face and raised fist the world didn’t know what to expect. Mandela himself having been away for 27 years incommunicado was also not sure of the world. The world anxiety continued and according to George Orwell, “It is not what you do but how you do it that shows whether you are clever or not”. Mandela was clever as NDIGBO noted; “ANAGHI AGBA AKA AZO ALA” (You don't fight over properties unless you have resources). The economy and the structure of South Africa were controlled by white people. The blacks including Mandela didn’t have anything. Moreover, the same Americans and Europeans who watched him languished in prison for 27 years were still very much around. Mandela was intelligent but as William Falconer noted, “the test of a first rate intelligence is the ability to hold two opposed ideas in the mind at the same time, and still retain the ability to function”. And so Mandela must make a choice between his two opposed ideas. He chose reconciliation. The world was relieved. As we didn’t learn from Madiba, we will never know what his other idea was. He died with it. Sunday, 15th December 2013, Madiba was buried in his village, Qunu, in accordance with the tradition of his Xhosa tribe of South Africa. Obviously, African traditions are intertwined and as in IGBO culture, it is an honour for an old man to die in his home. Mandela died in is his house in Johannesburg which drew joy among his clan people. Some cows were slaughtered to perform other rites that enabled a ripped old man join his ancestors. It was remarkable that his funeral was held on a Sunday, Christians’ day of devotion, yet it was traditional. But why they didn’t pick another day of the week, say Saturday; makes it striking. 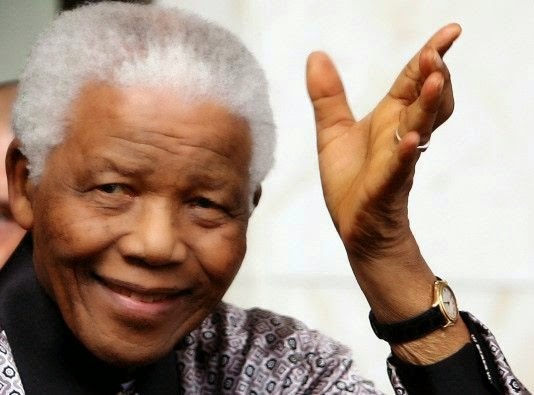 Perhaps, as it is done in IGBO-nation, a grand old man like Mandela will only be buried on ORIE-UKWU market day which happened to fall on a Sunday (15/12/13). Saturday was EKE market day and NDIGBO do not bury their dead on EKE market day. Mandela came from a royal family and so I say; The Prince; I trust your journey was smooth. Remain revered!! !